How many chicken coops does a girl really need? Melissa at vuchickens had a new chicken house built. I watched her coop building posts with ever increasing envy but I already have three coops so I dare not to suggest to my husband that I would like a new one like the one vuchickens has. This is my very first chicken coop before I knew what I was doing. I bought this one for the stray chicken that turned up at my place but when I introduced 2 Barnevelders to the mix, it quickly became apparent that this coop was far too small. They did however, free range all day so they really only had to sleep in this. A very short time later, we decided to upgrade to this coop. This was advertised to house eight to ten chickens. That should be enough room for our girls. But then my bantam went broody and we bought her some fertile eggs. She hatched her chicks but we decided they needed their own nursery coop away from the main hen house. So we got this chicken coop for her to raise her chicks in. We sold Hannah’s chicks shortly after but decided to keep the coop as a future maternity coop. We also kept the first small coop as a sick bay if it was ever needed. Then somehow we had a chicken population explosion. Firstly a rooster arrived from across the road. He preferred my ladies, my food and my accommodation. We kept him. His name was King George. A few months later, his girlfriend from across the road also came to live with us. Her name is Aunty Dorrie and she is a silkie cross bantam. A few more months went by and then a Silver Spangled Hamburgh rooster turned up, also from the farm across the road. Then we decided we didn’t have enough egg laying poultry. We were only getting eggs from two of the six poultry living with us. So we bought two Plymouth Barred Rocks who had just started their first laying season. So when we brought the Plymouth Barred Rocks home (Hillary and Henley) and my husband and I were outside trying to rearrange the coops to fit everyone in, he said “I think we need to buy a proper chicken coop to keep all these chickens in”. So after a quick happy dance and before he could change his mind, we went inside to do some internet shopping. 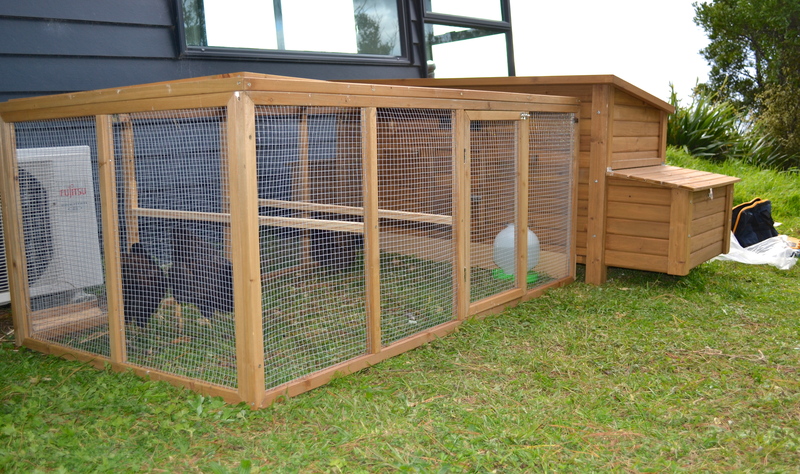 We found the perfect chicken coop that houses up to 20 chickens and comes in a flat pack. The site for the new chicken house was cleared of trees and the footings have been put down. Categories: Coop | Tags: Chickens | Permalink. In the background is the original rather small coop I bought for my chickens before I knew anything about chickens. Here is a post about my original rather small coop. It was bought to hold three to four hens. At least that is what it said on the box. It was bought before I realised how big my heavy breed Barnevelders would grow. It was bought before I realised I would fall in love with having chickens and would want more than three. So once I had captured Hannah Hen, I decided that the little bantam and the two rather large Barnevelders where a bit squashed in the rather small sleeping quarters in the rather small coop and were probably sleeping on top of each other. And that isn’t fair. 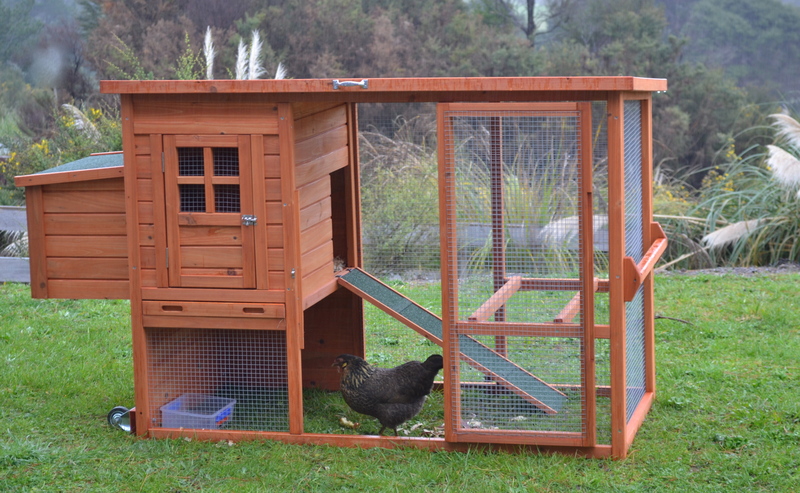 So I searched Trade Me and found a hen house that is meant to hold eight to ten chooks and bought a run to go with it. So I set it all up with nice soft wood shavings in the nests and on the floor, moved the handles so the run would fit properly against the house and added perches to the run so they could sit on them and watch the world go by. Then we moved them in. I was worried that they might not settle straight away and that they might not even want to go into the new house! I had already disrupted their lives. I had captured Hannah Hen and locked her in a rather small coop for ten days when she had been roaming free in a paddock for years. I had locked the two Barnevelders in with Hannah Hen to get them all used to being together when they had been used to free ranging all day . How they must be hating it. But no need to worry. After about five minutes of exploring the run, the rather brave Hilda Hen walked into the house. And then came back out to tell the others all about it. This is what she saw . 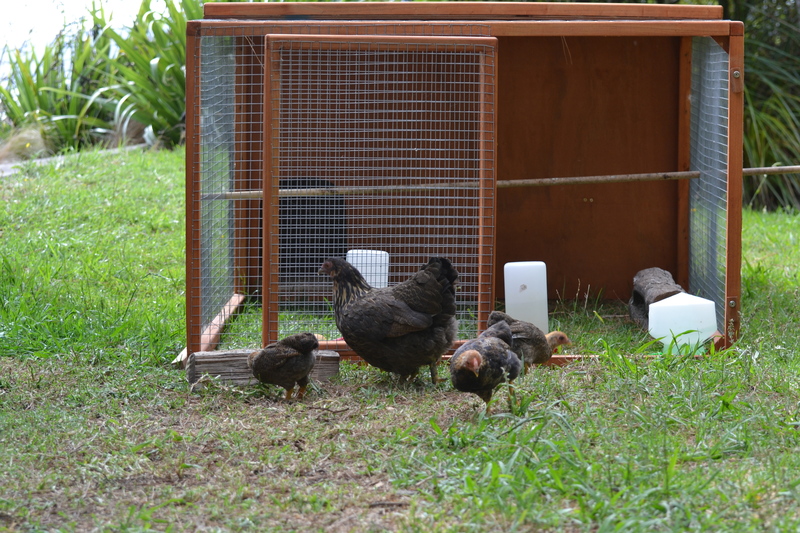 Since then they settled quickly in their new bigger and better coop and continued to lay their little brown and little green eggs. And they have enjoyed sitting on the perches in the run watching the world go by. That was last weekend. This weekend it was all about letting them out to free range again. That post is for another day. 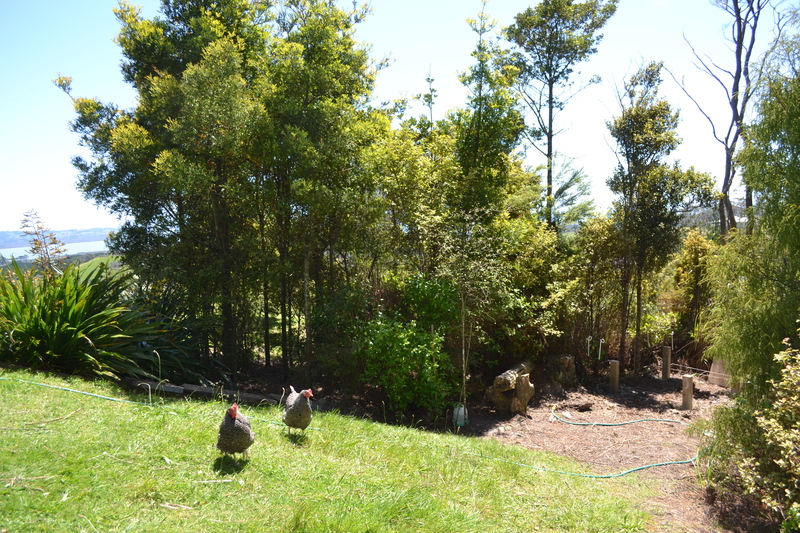 Categories: Coop | Tags: chicken coop, Chickens, Chooks, Hens | Permalink.